We have been publishing books since 2010 with an ever growing pleasure, inspired but one goal : disseminating information that can help you live in better health. At a time when health care is increasingly a large scale affair we prefer a more personalized approach driven by common sense that acknowledges the values of natural remedies ; we hope our optimism is contagious and that you will feel it too. Our catalogue now lists seven collections and over 60 publications : a mosaic of both entertaining and controversial practical guides to help relieve everyday aches and pains, prevent illnesses, as well as understand better our body and nature in order to work on keeping them both healthy. The collection named Vérités (Truths) : regroups books written by specialists who wish to increase awareness on little known yet useful facts that are essential to improving our health. 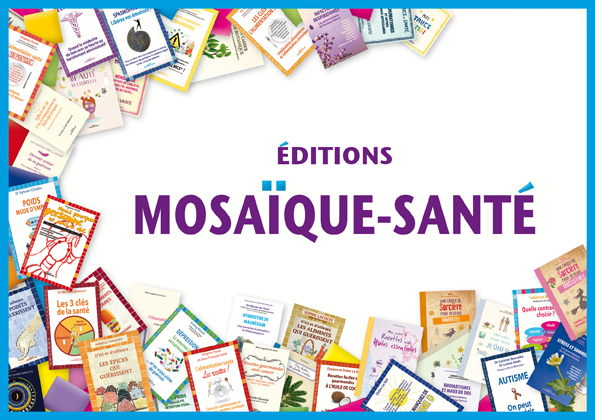 Livres qui guérissent (Books That Heal) : an alternative to medication with comprehensive illustrated books and major reference works for natural healthcare. Trucs de santé (Health Tips), written by Sophie Lacoste who has been gathering “health tips” for many years, each title deals with a specific ailment therefore readers can pick and choose the tips that interest them. Cahiers (Notebooks) : beautiful, four-colour printed, soft toned volumes illustrated with original drawings to help you understand and learn through practice : entertaining, educational and useful. The collection titled Grands précurseurs (Great Pioneers) : some works travel through time without aging a day, their authors were visionaries (often heavily criticized in their time !). Such are the publications authored by Dr Valnet and Dr Martin du Theil that Sophie Lacoste, thanks to this collection, has put at your disposal to benefit your health ! Autres regards sur le cancer (Points of view on cancer) : this collection aims at gathering a broad array of texts – testimonies, expert exposés, and practical advice – that offer different points of view on the disease and its treatments. Talking about cancer can’t be taboo, sharing experiences is how patients can take the lead in their healing process, such is our goal.